This season’s Langley Walking Tours with local historian Bob Waterman got off to a good, albeit slightly rainy, start. The hour and a half tour began with an explanation of Langley’s origins at the Museum, followed by a walking tour. Think you know Langley? 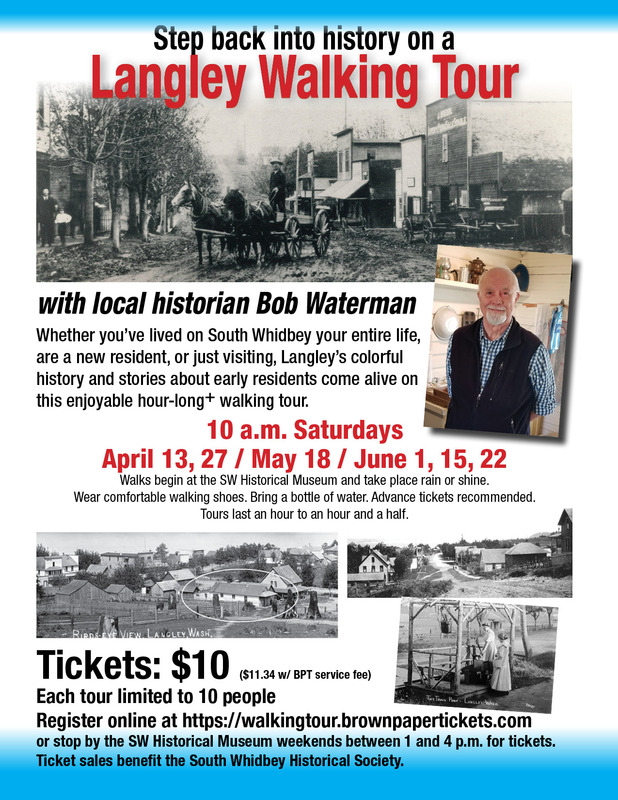 Take one of these walking tours led by local historian Bob Waterman and find out just how much more there is to the story. Learn about the struggles and triumphs of early residents. 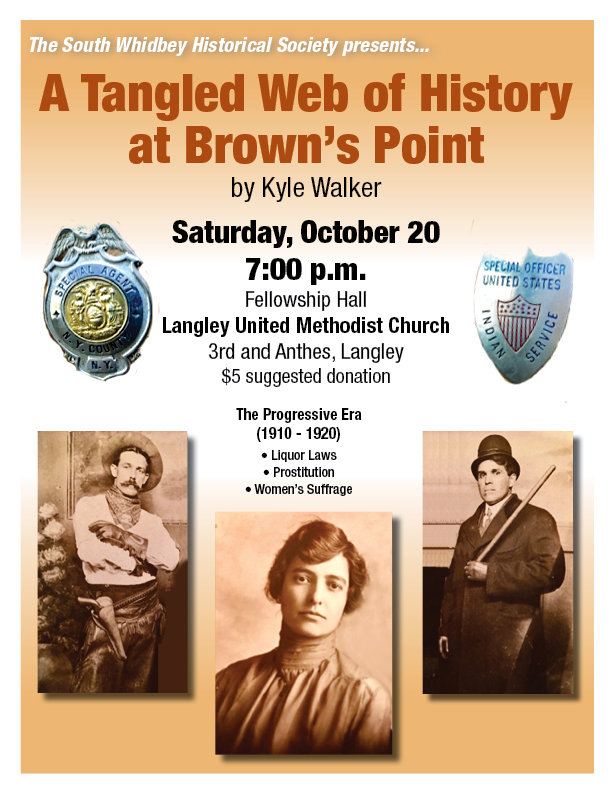 Get an understanding what Langley life was like in the 1890s through the hippie-culture 1960s. Tickets are $10 (plus an online processing fee) and benefit our local Historical Society. The tours begin at 10 a.m. at the Museum at 312 Second Street on the following Saturdays: April 13, 27 / May 18 / June 1, 15, 22. Sign up online for the Saturday that works with your schedule at https://walkingtour.brownpapertickets.com or stop by the SW Historical Museum on the weekend between 1 and 4 p.m. and purchase a ticket there (and save the $1.34 processing fee). Tours are limited to 10 people, so buy your tickets soon. Ever wonder what the youth of yesteryear played with before smartphones… well, quite a few decades before smartphones? 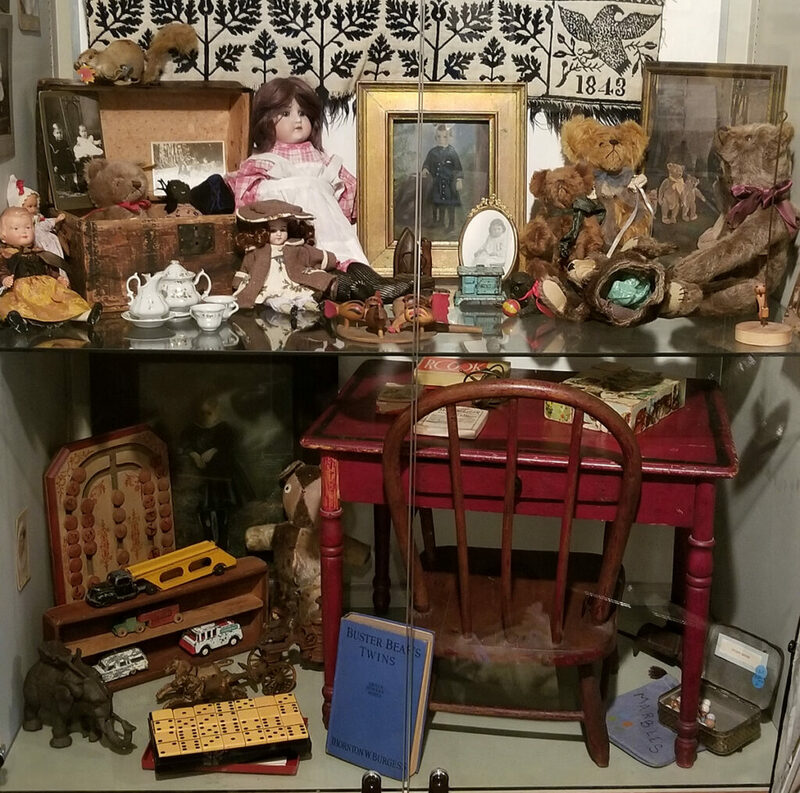 Stop by the South Whidbey Historical Museum this weekend and check out a new exhibit which docents Joan Handy and Betty Discher put together: “Children’s Toys, Games and Pastimes of the Early 1900s”. Take a look at what your grandparents or great-grandparents were playing with. The Museum is open from 1 to 4 p.m. on weekends. 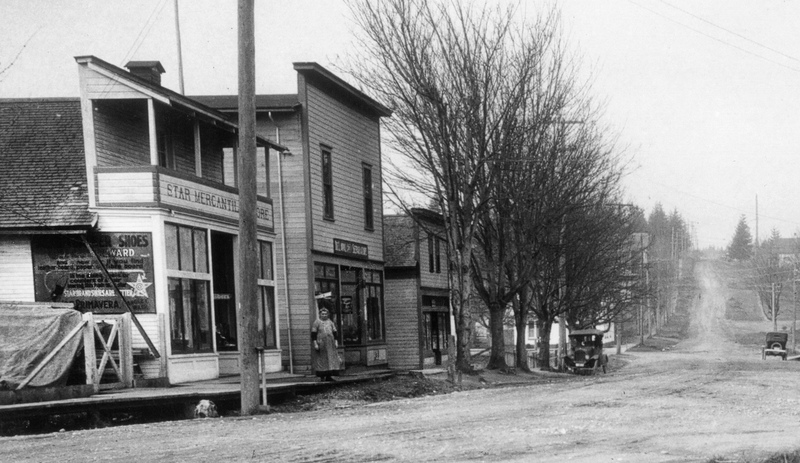 Kudos to the Langley Preservation Committee for putting together a wonderful website on Langley History. This is a fascinating story involving John Brown, who was born at Brown’s Point (now Sandy Point) who became a special agent with the Indian Service. He and his partner patrolled the Pacific Northwest towns trying to break up prostitution rings and illegal liquor sales in the early 1900s. As South Whidbey became more and more settled by immigrants from Europe and Americans pushing west for the dream of a better life, schools were established in the small communities dotting the Island. Some of these early schools took place in homes or logging camps. Eventually, school districts were formed and resources and labor donated to build wooden structures. The first school at Mutiny Bay was a small log structure built in 1885 near what would become Cookson’s Corner (so named for the store which was located at the end of the long wooden dock just a little up the hill near what is now Lancaster and Mutiny Bay Road) in Austin (now the Robinson’s Beach area). Louisa Johnson was the eldest daughter of early settler William Johnson and his wife Gah-toh-Litsa (also known as Zah-toh-Litsa, aka Jane Johnson Oliver). Gah-toh-Litsa was a woman of high birth status in the Snohomish Tribe. Louisa grew up with her parents and 7 siblings at Double Bluff. It is likely that she attended the log school in Austin for at least a few years. In 1889, when she was 16, Louisa married 49-year-old Mutiny Bay neighbor Nathaniel Porter, who was a widower with two children. The Porters had a growing family of eventually 8 children and believed in the importance of an education. In 1897 they deeded a small piece of land (210 feet by 105 feet) for a schoolhouse which operated until a newer schoolhouse was built. In 1911, the Porters sold four acres for the third and last school built at Mutiny Bay. 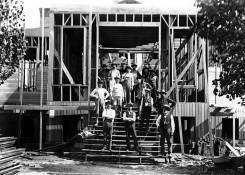 A photo shows some of the men from the Free Land Colony (a utopian Socialist Colony) helping with the construction in 1911. The new school, a beautifully built two-story structure, opened September 9, 1912. 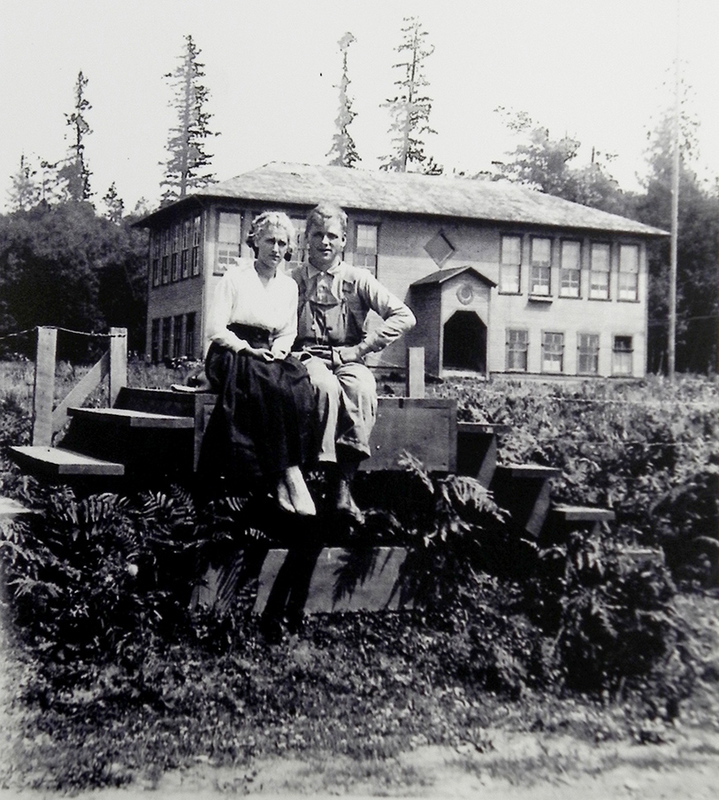 Local resident Gert Driscoll Tasche, granddaughter of Louisa and Nathaniel Porter, remembers attending Mutiny Bay School until seventh grade when the school was closed and students began attending the new brick elementary school in Langley in 1943. She also remembers attending Sunday School classes that were taught in the basement of Mutiny Bay School. It is this Mutiny Bay School of which the late John H. Baker wrote about in his memoirs: Baker’s Store – Early Days on Whidbey Island. He began attending first grade at the school 1921. “I suppose anyone who attended an old time one or two room school feels their school and the teacher who taught there were something special. And rightly so, for not only were those teachers something special… but also most of the school directors had a knack of locating schools where there were many other attractions besides the rudiments of reading, writing and arithmetic. So it was when the Directors looked for a place to build a school that would serve the Bush Point, Baker’s Corner, Austin and Freeland areas. The land obtained from the Porter family on the shores of Mutiny Bay, after which the school was named, was a student’s dream. During class they could look out of the windows and see ocean-going ships traveling the world ports, and the Puget Sound mosquito fleet making all the ports in the area. Its location also prompted almost daily trips along the shore along the shore looking for drift or following the channel of slough in search of crabs or watching an old skate or octopus burying itself in the mud or building a home. The schools of small fish that inhabited the slough were always fun to try and catch and the bullheads were frequently caught with a piece of string and a bent pin. Then they were returned to the water as they were of little use. In the Fall when school was new and minds were open we became Magellan, Cook, Vancouver, or Drake and our teacher was the great Queen Victoria, who financed our voyages to the far corners of the earth and rewarded us with gold and silver on our return. Down towards Austin was the leaning fir tree where the mutinous crew after which the bay was named, strung up the officers of their ship. Whether you were a member of the crew or a condemned officer, it was great fun reenacting the mutiny. In the Spring and Fall fish traps were examined and it was the thrill of the year to have the trap crew load us into dories and row us out to see the crew brail fish from the spiller. When a derelict of the rum running fleet drifted ashore it became almost a second home for us boys. Ah, for those days of our youth when imaginations ran wild and days were without end!. Behind the school was a fresh water swamp that would freeze over for skating in the winter time. In the Spring it was great for wading and feeling the muddy bottom squeeze between your toes. It was in these woods and along the shore of Mutiny Bay that Miss Alma Anderson (later Alma Anderson Porter Grist) developed the memorable treasure hunts that took place several times a year. In the morning after the flag salute, Miss Anderson would announce that today, classes would be held while on a hunt for buried treasure. ———-Excerpted from “Baker’s Store – Early Days on Whidbey Island” by John H. Baker. 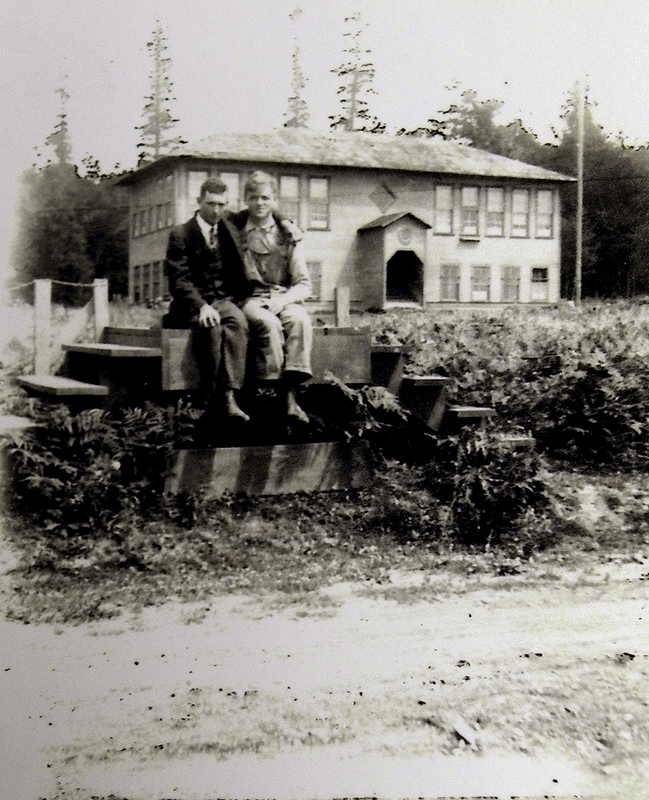 School Districts on South Whidbey consolidated into one big district by the late 1930s and rural schools were closing down, with students bussed to Langley. However, Mutiny Bay and Bay View Schools stayed open until after the new brick school was built in Langley and opened in 1942. Even then, it wasn’t until a full year later in September of 1943 that Mutiny Bay School students started attending the brick Langley Elementary School. 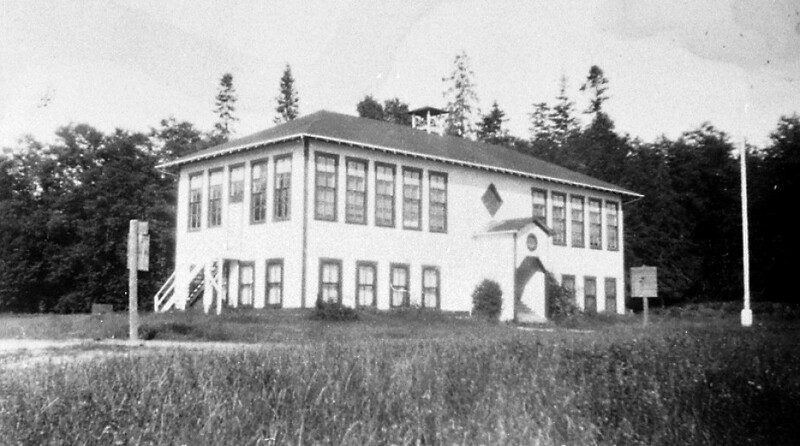 Mutiny Bay School was purchased by Otto Anderson (brother of Alma Anderson Porter Grist), who tore it down and used the lumber, especially the mahogany wood, in a new building being built in Langley – the Masonic Temple — now Langley City Hall. 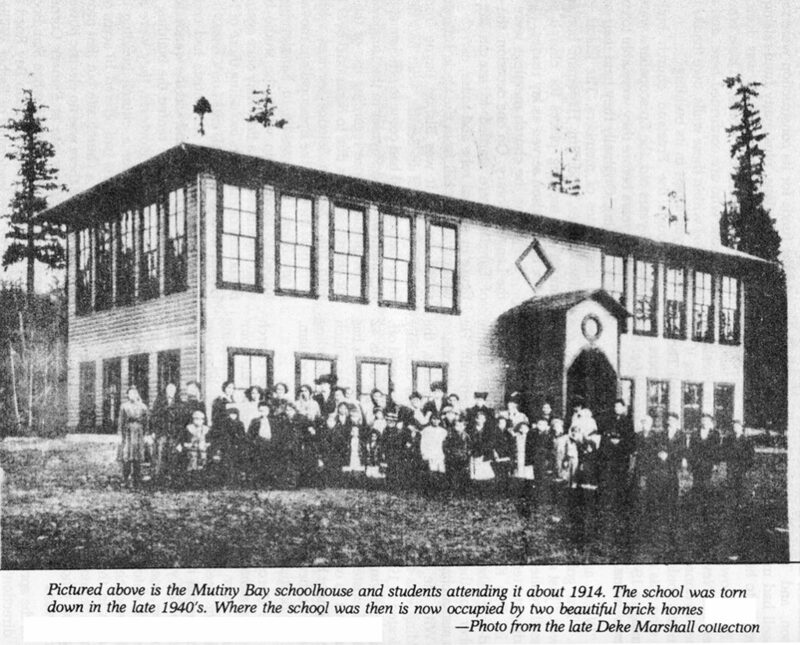 If you have any family stories, recollections or photos, of Mutiny Bay School, please contact the South Whidbey Historical Society at SWHMuseum@gmail.com. We would love to hear them. Special thanks to information and sources shared by Gaylord Porter, Dean Campbell, Gloria Porter Campbell, Gert Tasche, and Betty Discher. 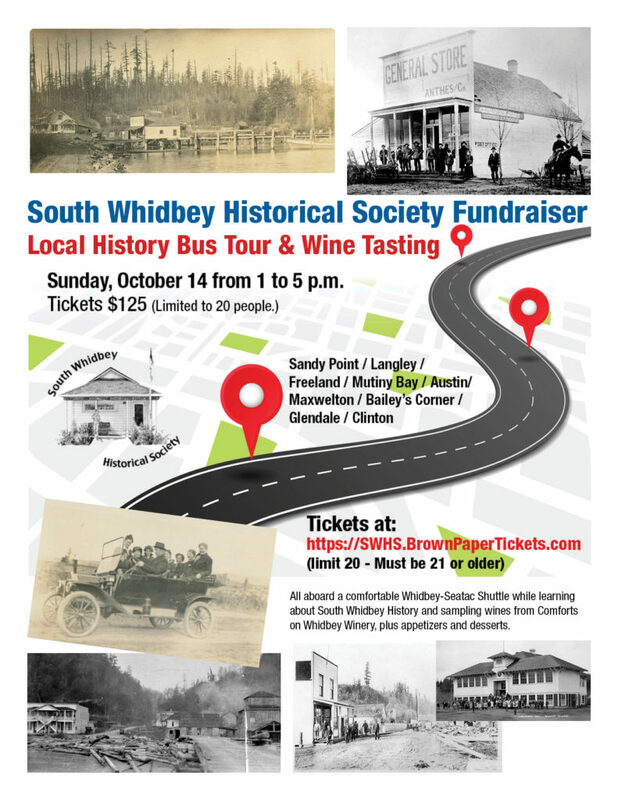 Finally, if you love learning about local history as much as we love sharing it, would you please consider making a donation or legacy bequest to the South Whidbey Historical Society? Our non-profit EIN # is 91-1180809. Our mailing address is: South Whidbey Historical Society / PO Box 612 / Langley, WA 98260. The South Whidbey Historical Society is staffing the parking lot opposite the Fairgrounds for the Whidbey Island Area Fair running this Thursday, July 19 through Sunday, July 22. When you park in the SWHS lot, you help to support the efforts of your local Historical Society. Only $5 for all-day parking. The McLeod and Brooks Hill cabins will be open, as well as the Ray Gabelein, Sr. Antique Farming Equipment Barn which SWHS also staffs. If you are not already a member of SWHS, membership forms will be available at the McLeod cabin and the Ray Gabelein, Sr. Antique Farm Equipment building. Our summer schedule begin this Friday at the South Whidbey Historical Museum. Stop by and see us between 1 and 4 p.m. The Museum will now be open Fridays, Saturdays and Sundays between 1 and 4 p.m. until Labor Day weekend. In 1939 Clinton resident Bill Hunziker brought his 8 mm camera and met up with his Everett High School classmates for the Memorial Day parade in Everett. Three months later Nazi Germany would invade Poland and conquer most of Europe. Two and a half years later the United States would enter World War II when the Japanese bombed Pearl Harbor. In 1939 Clinton resident Bill Hunziker brought his 8 mm camera and met up with his Everett High School classmates for the Memorial Day parade in Everett. Three months later Nazi Germany would invade Poland and conquer most of Europe. Two and a half years later the United States would enter World War II when the Japanese bombed Pearl Harbor.